It’s spring in Australia and the weather is starting to warm up in my part of the world. 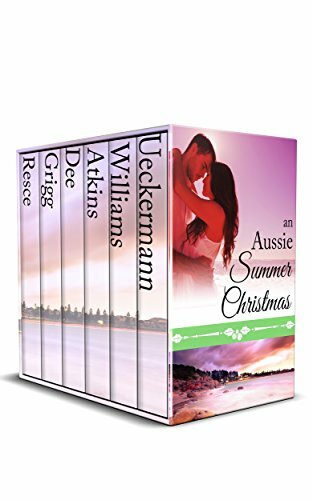 I’m thrilled to share with you my latest release, Seaside Christmas, in An Aussie Summer Christmas boxed set. The collection contains six brand new Christmas novellas including Marion Ueckermann’s novella, Melbourne Memories. Melbourne Memories is Marion’s first book set in Australia. She has taken her readers on a journey to three continents (Europe and Africa) in her international contemporary Christian romances. 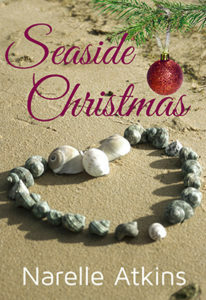 Seaside Christmas is book 3.5 in my Sydney Sweethearts series. Books 1-3 were previously published by Heartsong Presents. I’ve received the rights reversion for my Heartsong books, and I’ll be independently publishing the backlist titles soon. Chelsea Somers is the girl he never called back. Six years later, former bad boy Gus Donovan is intrigued by Chelsea, but his past mistakes continue to haunt him. Gus is determined to prove he’s a changed man—prove it to his friends, his family, his father. And prove it to Chelsea. Chelsea has embraced the faith she once mocked, and she’s focused on furthering her career in health promotion and staying away from politics. She’s drawn to Gus, although his busy role as an advisor for an Australian senator doesn’t impress her. When she’s forced to confront her fears and deal with a past family tragedy, can Gus convince her to trust him and take a chance on him? A heartwarming Christmas romance novella set in Sydney, Australia. Chelsea is a new character in the series, and Gus was a minor character in Seaside Proposal (Book 3). A core conflict in the story relates to politics. She can’t stand politics, and that’s the world he inhabits. The focus of the story is on the romance. You won’t hear about Gus’s political views, or any political views, in the story. As a reader I prefer to avoid romance stories that have a political slant or agenda. Australians are laid-back, and we don’t take ourselves too seriously. The following clip is from an Australian current affairs program. It’s a parody of the first week of our new parliament earlier this month using the movie Kindergarten Cop. It also sums up Chelsea’s thoughts on politics, in general. An Aussie Summer Christmas will transport you to a warm Australian coastal setting for Christmas. Sun, sand, and surf instead of winter, snow, and mistletoe. Have you celebrated Christmas Day at the beach? Or, Christmas in the Southern Hemisphere? I’d love to hear your thoughts and experiences. When I was in high school, my family spent Christmas in Florida. It wasn’t the same sitting around the Christmas tree in shorts on the screened in porch. :) That said, we were with family, so that’s all that really mattered. Congratulations on the box set, Narelle…can’t wait to read the stories! Hi Wemble, I figured the Aussie blog readers in particular would appreciate the clip, lol. Your Christmas picnic in Tassie sounded like a lot of fun. :) I love beach cricket, too! I hope you enjoy our home grown stories. It’s lovely to read about a beach Christmas, AFL, Torquay (I worked there 4 years) and yes football and surfing are a big part of the community. Thanks for this great Aussie series Ladies. My church is 500 metres from Bulldogs ground so met many other fans. So much excitement. The community is close because the club makes it family oriented. Some church young men played with some of the players as teens. So a very personal win for us. Still have to pinch myself to believe it. Watching replay now! Hi Diane, you’re very welcome, and I’m glad you’re enjoying our Aussie stories :) Enjoy celebrating your Doggies big win! I was happy to see the other sentimental favourite, the Sharkies, win the NRL Grand Final last night. It’s only fair for a Sydney team to win the NRL when a Melbourne team wins the AFL, imho. Hi Narelle in the Land Down Under! I hope you are enjoying spring. Finally experiencing fall weather – lower temperatures, rain, clouds, and gloom. Leaves on the maple trees are finally beginning to turn orange and red. I have ALWAYS celebrated Christmas at home, but even in the Midwest USA we have had some green Christmases with balmy temperatures (in the 50s). Therefore, I enjoyed traveling to Australia and celebrating Christmas with the characters in an Aussie Summer Christmas. Delightful meeting new authors and their descriptive settings of Australia’s sandy beaches near the famous eastern coast cities of Melbourne, Canberra, Sydney, Brisbane, and Cairns. I enjoyed learning about Aussie Christmas traditions and customs: Aussie football, cricket, surfing, beach walks, BBQ, tea, and a piece of Pavlova. Hi Renate, We’re having a wet start to spring. The spring flowers are just stunning. I’m planning to visit a nearby Tulip Farm on the weekend when the wet weather clears, and possibly Floriade (our big spring tulip festival by the lake in the city). We have pretty autumns (fall) here as well with the maple trees – very pretty, enjoy your fall weather! I’m so glad you enjoyed our Aussie stories. We appreciate our reader friends :) Pavlova is one of my favorite desserts, and always on the Christmas Day menu in my family. I lived in Melbourne for a few years, and I remember one Christmas Day when the max. temp only reached the 60’s. Sun, sand (and surf) are some of my favorite things all year round, including Christmas. I’m from Brazil and we get warm Christmas every year just like you do. I’ve been living in the US and really having a trouble dealing with snow in north NY state for a few years (I’m ready not to have snow anymore). I feel like humming Christmas songs in July and hiding home in December… because that’s how the seasons fit with my memories. Back home we had a few Christmas services in a member’s backyard (because the temple was under renovations) and it was actually amazing (so great we’ve repeated). I’ve also spend Christmas at the beach a few times, but not the norm for my family since they most beach towns don’t have a church and my family always likes to attend Christmas services. New Year’s Eve though, that’s another story. Brazilians all go to the beach to see the best fireworks and put their feet in the sand at midnight (and sometimes in the water—we have warm water in most of our shore, so not too cold at midnight). It’s beautiful (or it could be more beautiful if people didn’t get so drunk these days). Also I love the clip (just showed it to my husband while he was reading his morning news too). Thanks for sharing. This is particularly interesting considering its election season in the US (and things are a mess). Brazil, however, has always been a mess (we’re a republic since 1888, but through ups and downs–mostly coups before 1989–we have now the 4th president elected directly by the people and she was impeached–just like the first one–, so that makes us young–and dumb–in politics), but I think most Brazilians have a similar approach to Australians considering politics. Hi Priscila, yes, Christmas Days in Brazil would be similar to my experiences. :) The snow North NY State Christmas weather would be very different for you. I’d love to experience a white Christmas. We have what I call ‘novelty snow’ in Canberra. One morning in July we had a light snow shower and it barely covered the ground, melting by lunchtime. NYE fireworks are big here, too. In a couple of my books I’ve included NYE fireworks celebrations with my characters by the water. I’m glad you enjoyed the clip. We complained about an 8 week mid-year election campaign (they’re usually 6 weeks). We can’t imagine having to endure a long and drawn out presidential campaign. We also have compulsory voting, which changes the dynamics of how our election campaigns are run compared to countries like the US. Oh so many things in common.. My family is from south Brazil and they did get some snow this past July in a nearby town… It melted by mid day too. Also voting is compulsory and our election campaigns are pretty limited too (unlike the one year round we’re seeing in the US this year even though my understanding is that it is also unusually long this time around). I enjoy reading about Australia. I’m looking forward to reading the box set. I lived in Florida fora while, but enjoy a snowy Christmas. That usually doesn’t happen though. In northern Virginia it can be warm or cold, the wheather is crazy. One year in January it was 85 one day and freezing the next. Hi Diana, I hope you enjoy our Aussie stories :) 85 is a typical Christmas Day temp where I live. I didn’t realize it could be that warm in Northern Virginia in December. Since living in England, I’ve loved enjoying chillier Christmases! But I still miss the Sydney Christmases I grew up with, sitting on the back porch eating watermelon on Christmas Eve, and going out in the boat or down to the beach after lunch on Christmas Day! luv it Autumn!!! Watermelon at Christmas!! Hi Autumn, yes, I love watermelon, too :) When I was younger I’d go to Long Reef Beach with my sister and cousins on Christmas Day afternoon. Great memories. I could not imagine celebrating Christmas in the springtime! I like cold and snow lol. Your stories are always so good! Great collection! It’s on my Kindle, but has to wait its turn! This Canadian loves her cold, snowy Christmases, but that’s what I’ve always known. Except for the couple of cold, brown Christmases when there was no snow, but the ‘green’ was definitely long gone! Hi Beth, We occasionally have a rainy Christmas Day, too. :) I quite like summer rain if it doesn’t bump up the humidity too high. Hot and humid is my least favorite weather, and I do prefer the cooler weather. Growing up I lived 10+ hours from any real beaches (Kansas), but now only live 3 hours from the beach so we may have to go at Christmas sometime. The closest I’ve been was in college when I went over Thanksgiving break on December 1. I thought the weather was beautiful and went wading (South Carolina’s water in December is much warmer than San Francisco’s water in August – the last place I’d been to the beach), but my native friend thought I was nuts and she was frozen. I’d love to visit Australia’s beaches sometime! Hi Katy, I hope you’ll have an opportunity to visit our Aussie beaches. :) I haven’t visited the US East Coast – it’s on my travel wish list! I didn’t realize the water was so much water in South Carolina than San Francisco, and I’d be wading in water as well, lol. In my first novel, my main character and her sister traveled around the world (because they’re wealthy and they’re fictional, and they can do stuff like that! hahah) and they happened to be near Brisbane, Australia at Christmas-time—and the sister got a blistering sunburn… all over!!! Hi Robyn, It’s interesting how our fictional charactera often lead more exciting lives than us :) Sunburn and Christmas can go together in Australia if you’re not careful. Blistering sunburn… not fun for your character but very realistic. I prefer to avoid visiting Brisbane in summer – too hot and humid for me, lol. I’ve never celebrated Christmas Day at the beach. When I lived in Jamaica that day is spent with family. Then on Boxing Day we all go to the beach with our family and friends. Great childhood memory. We lived for years in Florida, so warm mostly warm Christmases were a given. The video cracked me up!